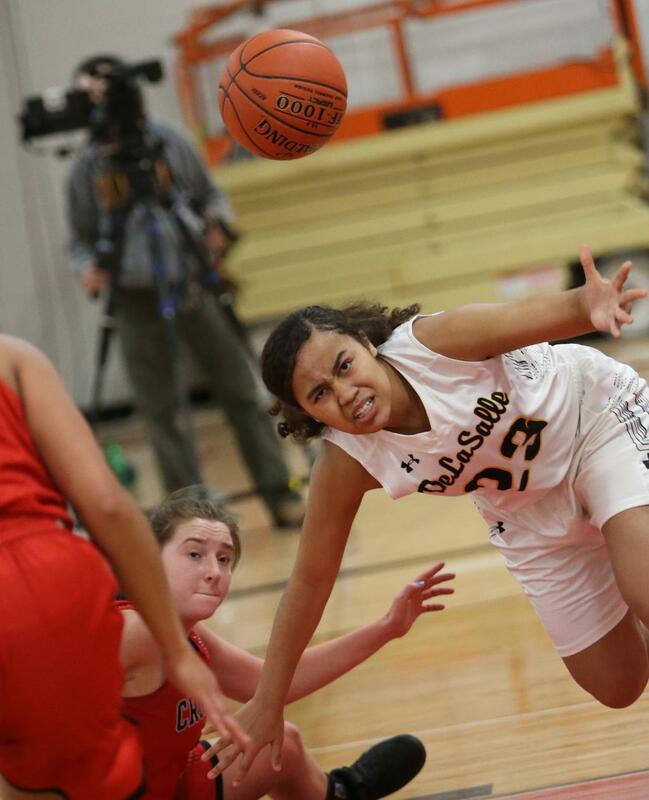 It hasn’t been an easy run for DeLaSalle, but the Islanders are finding a way to persevere. DeLaSalle struggled early against a fundamentally sound St. Croix Lutheran team, but scored the first 10 points of the second half and never saw the game get close again, in a 61-47 road win on Friday. It was perhaps emblematic of the season for the Islanders (10-5, 3-0), who’ve juggled a lot of pieces due to a rotating cast of players being in and out of the lineup due to injuries. For instance, junior forward Nurjei Weems has been a focal point for the offense, since senior leader Elaina Jones (10.7 ppg last year) has missed most of the season with an injury. Freshman point guard Kiani Lockett is just getting back into games after missing the first half of the season. But much like they did against the Crusaders (14-6, 4-0), the Islanders think they can click down the stretch. The Islanders, ranked No. 9 in Class 3A by Minnesota Basketball News, lost Jones, an Idaho State signee, to an MCL injury in early December and started the season 1-3. With Jones out, Weems, a 6-foot forward, has stepped up. 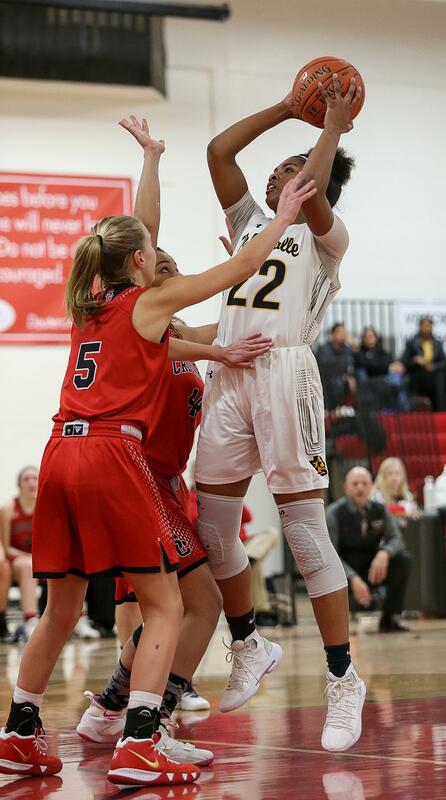 She had a game-high 20 points and 13 rebounds against St. Croix Lutheran. Weems credited a stronger mentality in attacking the basket as helping her improve as she’s settled into the role of top option for the Islanders — even if it wasn’t an easy fit right away. Her coach had plenty of praise for her, too. Freshmen have stepped up too, with Mya Williams scoffing eight points and getting to the free-throw line consistently in the second half Friday. Ninth-grader Savannah White had nine points and made a pair of three-pointers as the Islanders started the second half on an 18-6 run. The chemistry seems to be coming together, as the team has gone on a 9-2 run in their last 11 games — which they hope can translate into success as the postseason nears. 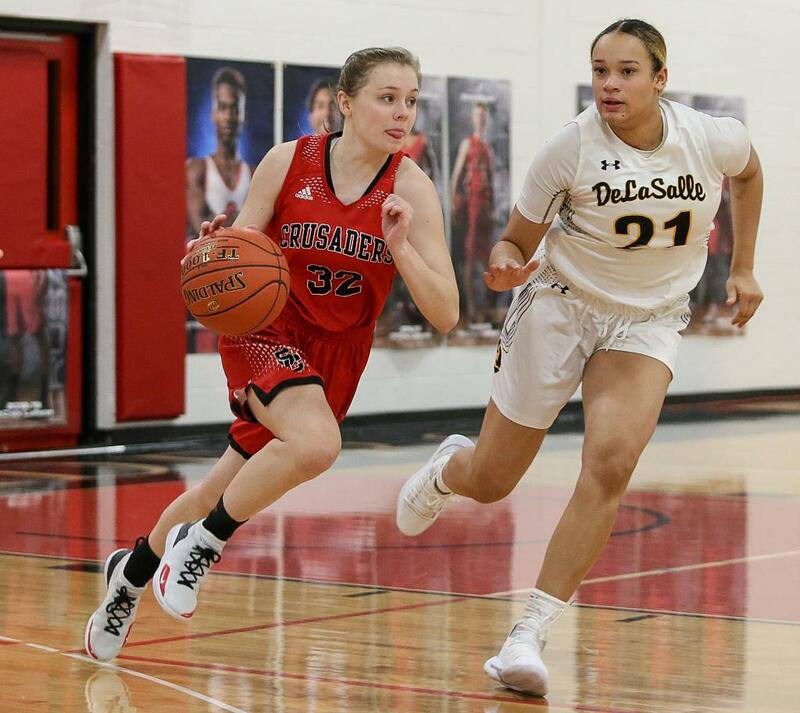 A big run to start the second half was all it took for DeLaSalle to top Tri-Metro Conference rival St. Croix Lutheran 61-47 on the road Friday. A choppy first half saw the teams combine for 20 fouls and a 12-of-27 performance at the free-throw line. DeLaSalle led 24-21 at the break. The Islanders, ranked No. 9 in Class 3A by Minnesota Basketball News, scored the first 10 points of the second half, en route to pulling away from the Crusaders the rest of the contest. DeLaSalle (10-5, 3-0) asserted itself inside and got a couple of timely three-pointers in building a 16-point lead in the second half. St. Croix Lutheran’s Kenna Moon connected on a three-pointer, and had a steal and layup to briefly get the Crusaders (14-6, 4-0) within eight late in the inter-division matchup. Nurjei Weems led all scorers with 20 points and 13 rebounds for DeLaSalle. Teammate Savannah White had nine points, and Nora Francois and Mya Williams added eight points each. 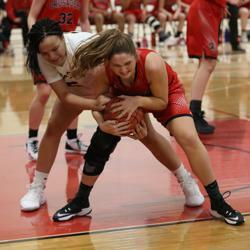 Moon led St. Croix Lutheran with 19 points, while Juel Skrien pitched in with eight. Clara Avery and Luci Hauge each scored six.